Comments for What's needed to grow succulents in clay soil? Clay soil is the absolute worst type of soil for succulents. It holds too much moisture, and the tiny roots have a hard time burrowing through it. The only way to deal with it is to put something else on top of it, such as gravel or large sand, lava rock or other good aggregate material, along with a bit of some kind of potting soil. Other options; raised beds with better soil in for succulents - luckily, succulent plants don't require a deep soil, so the bed only needs to be a few inches tall. Even a bed outlined in one layer of rocks will be enough. They really don't require much in the way of soil - they just need drainage. Or, grow the plants in containers, that way you can tailor the soil to the exact requirements of the plants. 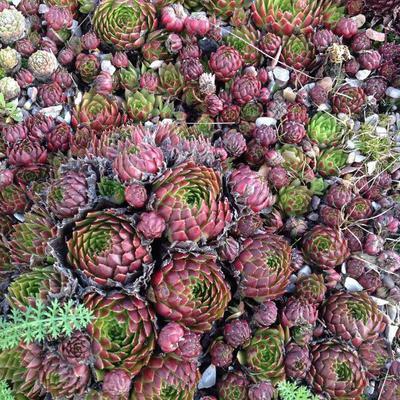 You can see more about soil for succulents here.